Cervin or the Matterhorn is one of the most revered mountains of the world and something that needs to be on your vacation package in Switzerland. This is a near-to-perfect pyramid, standing 4478 m above sea level and encompassed by sights so enchanting that you are bedazzled. As you trail your way through this wonder, you come across typical Swiss villages, and charming Alps peeking at you from every corner. Pull up your socks as this is going to be a challenging hike with steep ascents and high passes. This lakeside marvel finds it way, surrounded by a smooth promenade of blooming flowerbeds along a 4km stretch. As you pave your way through these tropical beauties, the stupendous stone hulk of Château de Chillon awaits you in all its glory. Sitting quaintly on Lake Geneva, this impeccable structure built in 13th century exhibits a remarkable maze of halls, towers, artwork, courtyards and period furniture. What you cannot miss out is the spooky Gothic dungeons and the frescos of Chapelle St Georges. Only few things can match up to the feeling you get standing on top of this largest waterfall in Europe, experiencing the ferocious roar of cascading water. And as you take a circular tour of this waterfall situated in Schaffhausen, you get to see the mighty rock that is a natural spectacle, which is a product of thousands of yearlong natural activity. You can also include a visit to the famous castles of Wörth and Laufen by a river. However, in case you are feeling a little adventurous, head to these castles in canoes, but beware it can get very challenging! 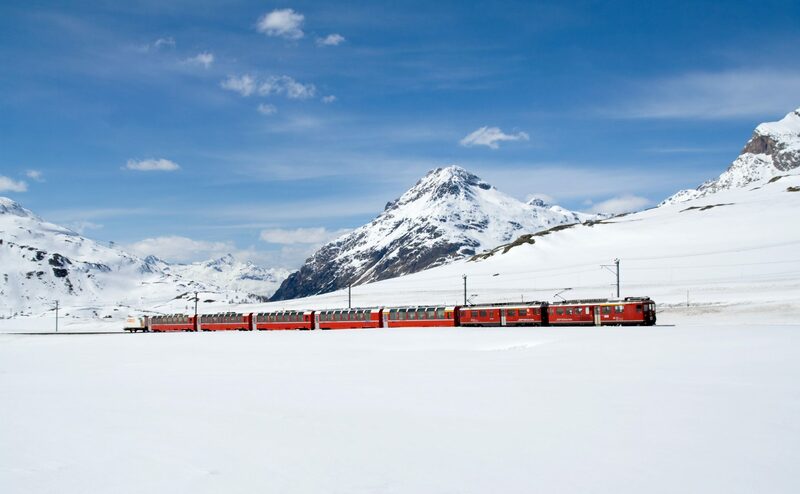 Your tour package to Switzerland is incomplete without a ride on the Bernina Express which promises you a true Alpine experience. Connecting seamlessly to the warm South and cool North, this is one-of-a-kind rail trips. This crimson coloured delight dreamily snakes its way to Engadine. As it whooshes pass behind the Bernina Hospiz, the luscious valley of Poschiavo of Italy stares right at you. On your ride, you will cover 196 bridges and 55 tunnels; all offering picturesque sights. So if a holiday in Switzerland is on your mind, then make sure these places are in your itinerary. not to miss in switzerlandplaces not to miss in Switzerlandplaces to visit in SwitzerlandSwitzerland: What not to miss!